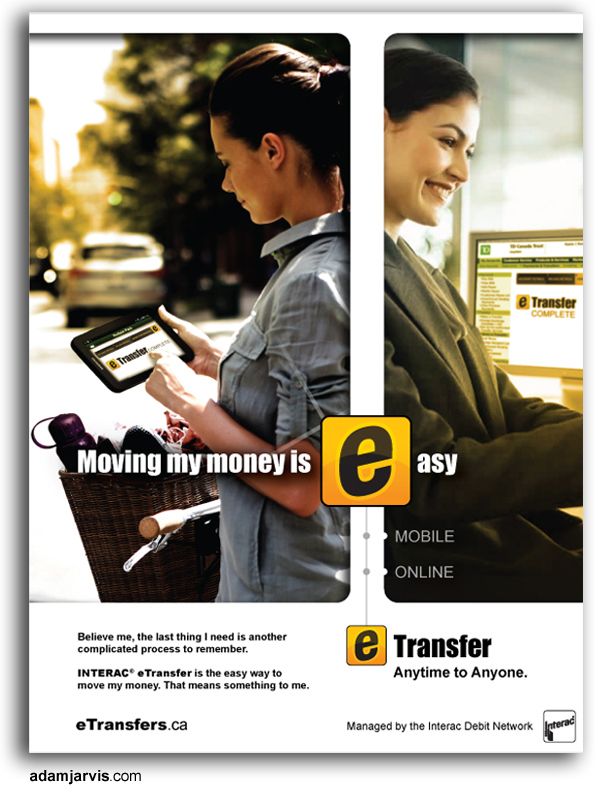 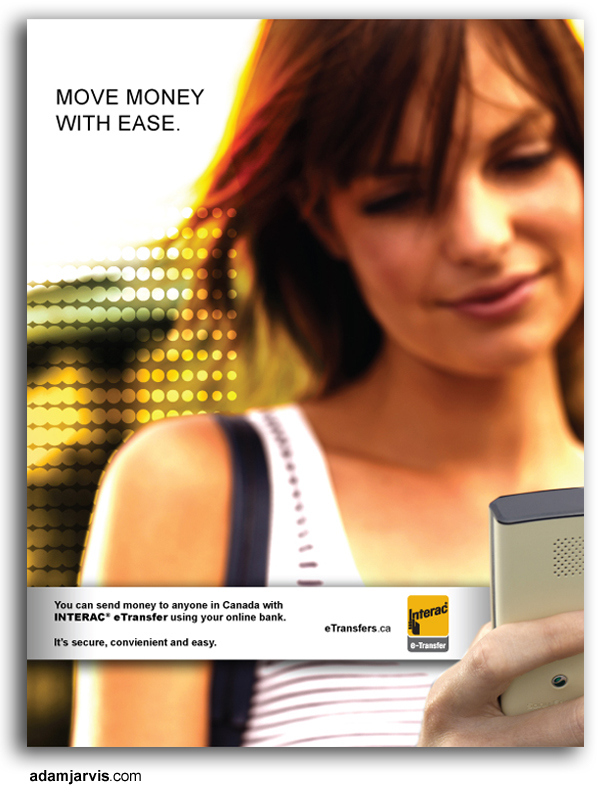 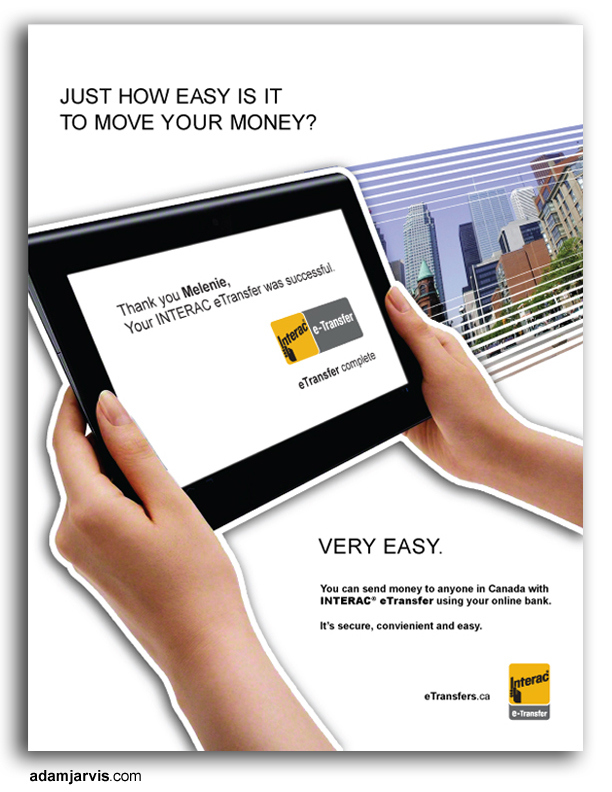 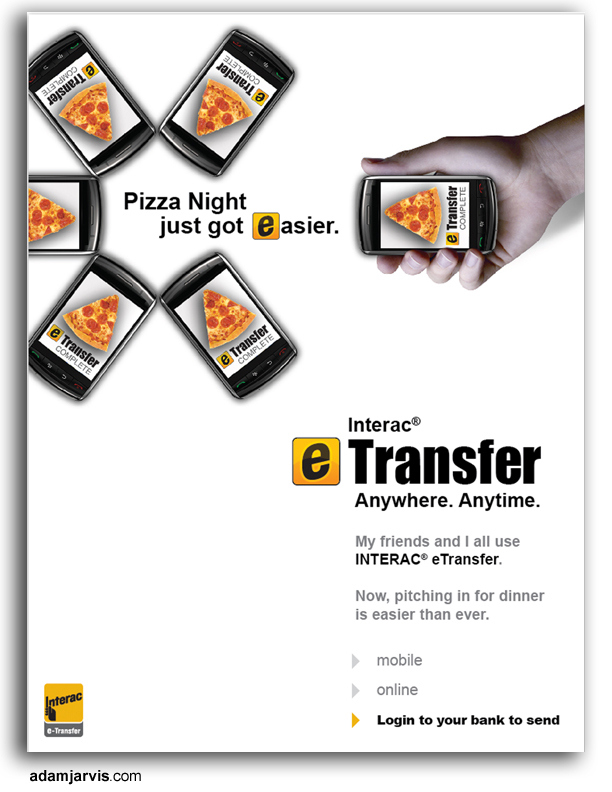 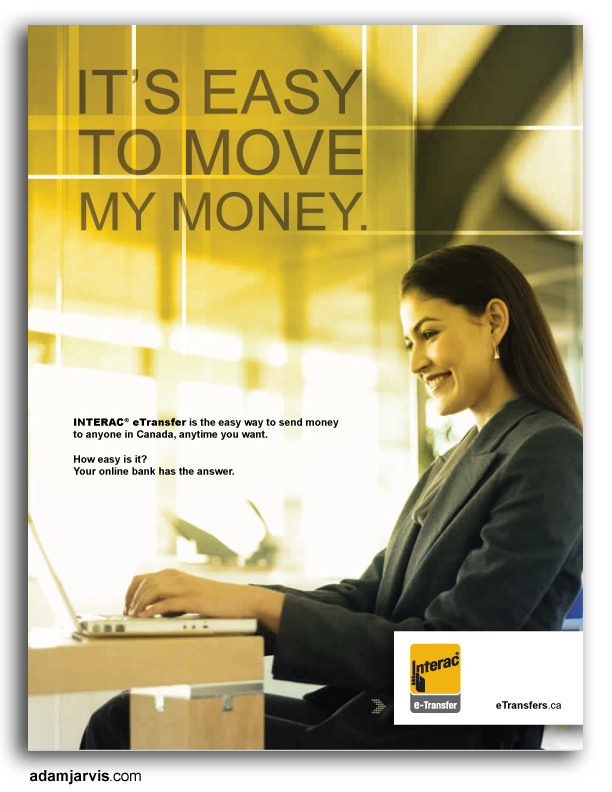 Print ads for Interac eTransfer - the easy way to send money. 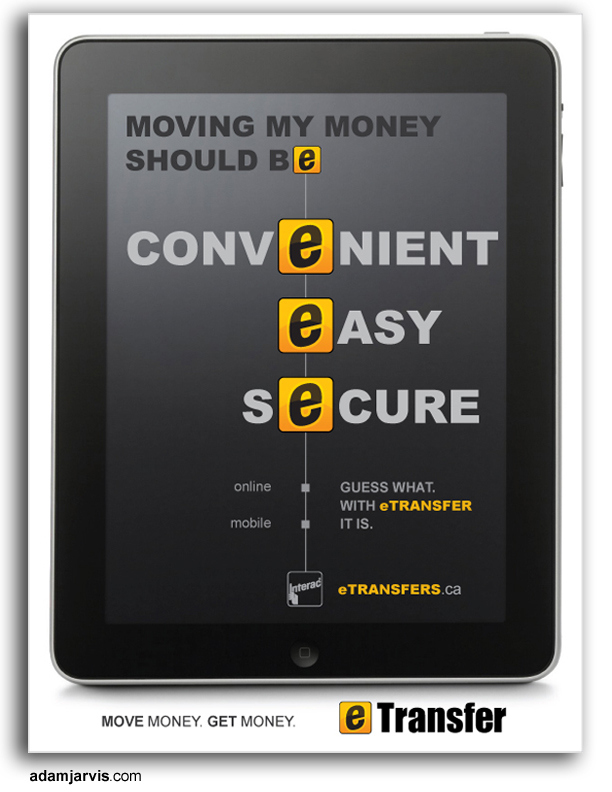 Interac's eTransfer service makes it easy to move your money. 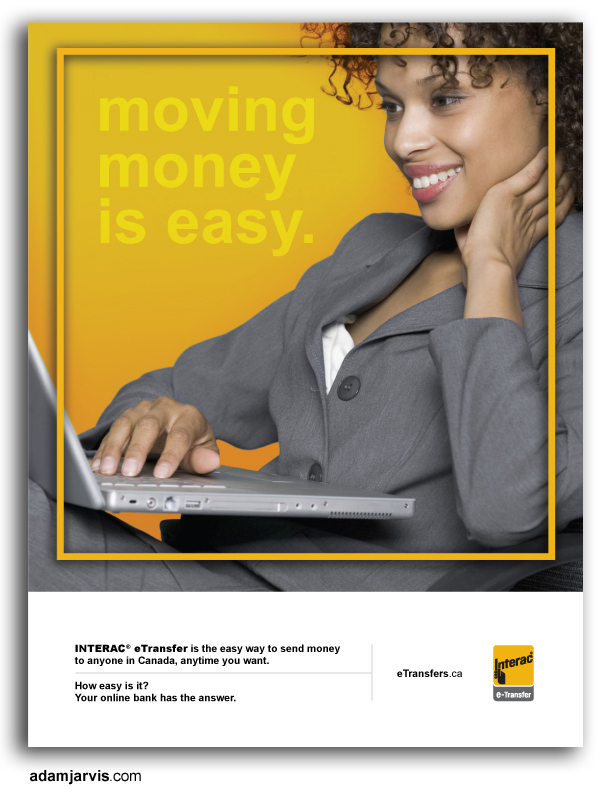 These ads are meant to convey that ease.